If years of study warrant the artistic career, Miss Emma Stebbins of New York is fully justified in adopting it. She long worked with crayon and palette as an amateur – making likenesses of her friends, copying fine pictures in oil, improving every opportunity to cultivate her taste and discipline her ability. A protrait titled Miss Stebbins of New York now hangs in the Museum of Fine Arts in Boston, and may document a disappointing episode in her early career. 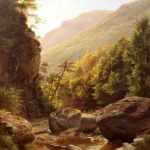 In 1842 Stebbins was elected an Associate Member of the National Academy of Design as an amateur artist. The academy required new Associates to submit a portrait of themselves within a year. Since Academy rules did not stipulate by whom the portrait should be painted (though most candidates contributed self-portraits), Stebbins may have hired Samuel Osgood, one of the five other artists elected with her, to paint her portrait for the Academy. Four of the five other candidates were ultimately admitted, but Stebbins was not. Her membership was nullified because she did not follow procedure. 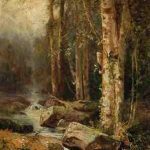 She was undeterred by this setback and continued to paint, sculpt and send works to exhibitions. Until age forty she worked as an amateur painter and sculptor in her upper middle-class home in New York City, thus extending her activities as far beyond the domestic sphere as was acceptable for a well-born American spinster of the time. In 1857, sponsored by her brother Henry Stebbins, head of the New York Stock Exchange, Emma Stebbins moved to Rome, where she was welcomed into the expatriate community of American artists who lived there. Sculptor Harriet Hosmer introduced the newcomer to John Gibson, dean of English sculptors, and to fellow American Paul Akers, who agreed to give Stebbins some instruction in anatomy and modeling. 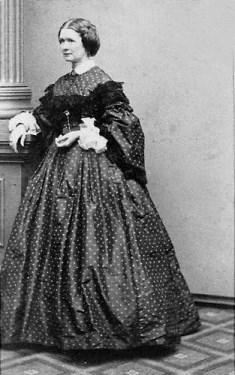 Stebbins also met Charlotte Cushman, the most famous English-language actress of the mid-nineteenth century. 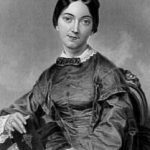 Arriving in Rome in 1852, Cushman had become a leader in the expatriate community and a mentor to female artists and writers. Cushman was handsome and charismatic, and she had recently ended a ten-year relationship with actress and writer Matilda Hays. Stebbins’ friendship with Cushman quickly developed into a deep and intimate relationship, and they began traveling together. After an Easter trip to Naples, Stebbins and Cushman decided to spend their lives together. They socialized in a circle that included African American/Native American sculptor Edmonia Lewis, other artists and celebrities. The women flourished in this environment, without regard for showing outward affection for one another. After some initial study, Emma Stebbins embarked upon a professional career at the age of forty-two. Rome offered a large infrastructure which supported art: teachers, technicians, artists, students and a continuous flow of international collectors. Cushman also promoted Stebbins’ career. Few lady artists of this or any country have been surrounded with circumstances more favorable to the development of genius. Stebbins’ childhood was passed among those who possessed culture and refined taste, and she was familiar with the elegant adornments of life. She learned early to embody the delicate creations of her fancy in song or pictures, as well as to imitate what pleased her. Her family and nearest circle of friends were ready – as is not always the case – to appreciate and encourage her efforts. During the early 1860s, Emma Stebbins was awarded three major public commissions – more than any American woman had obtained to that date. She supported herself through sculpture commissions, many from Americans. One of her earliest was a portrait bust of Charlotte Cushman (1859-1860). Cushman had a prominent feature of the type often referred to as lantern jaw, which Stebbins handled with grace and dignity. Cushman promoted her partner’s work and, at least once, raised funds for casting a major piece. 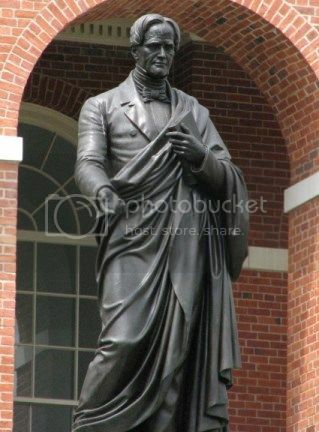 Stebbins’ career continued to thrive; her bronze statue of educator Horace Mann was erected at the Massachusetts State House in 1865. However, Stebbins grew to fear the physical demands of her public career. As a perfectionist, she refused to hire stonemasons to do the carving, as many sculptors did, and the physical demands of making sculpture were affecting her health. Years of working in a studio filled with marble dust had weakened her lungs. Charlotte Cushman was diagnosed with breast cancer in 1869. Accompanied by Stebbins, she underwent surgery later that year in Edinburgh, which did not entirely eradicate the disease. Stebbins ignored her own career and devoted all of her time to caring for her partner. After a brief return to Rome, Cushman began to long for a return to America. In 1870, the couple moved back to the United States, where they set up households in Newport and Boston. Despite the pain of her condition, Cushman returned to the stage. Though she no longer had the stamina for performing in plays, she developed a remarkable ability as a dramatic reader, reciting scenes from Shakespeare, ballad poetry, dialect poems and humorous pieces. The public loved her in this new role. At an appearance in New York, William Cullen Bryant recited an ode in her honor, and an impromptu parade on Fifth Avenue developed after the show. In May 1870, the women once more set out for England where Cushman underwent further treatment for the cancer. They sailed for America in October 1870, leaving Rome so quickly that several of Stebbins’ pieces were left there, unfinished. Though she never reached the elusive ideal of perfection, modeling clay and carving marble were still her favorite activities. Alone in her studio, undistracted by hired assistants, she maintained control of the exhausting yet rewarding act of creation. Emma’s family began to openly question Emma’s relationship with Cushman, saying that her life with Cushman had injured her “morally, socially, and physically.” Similar comments were made about Stebbins by members of Cushman’s family. Yet the women withstood these attacks, refusing to be separated. With no outstanding commissions, Stebbins could give up sculpture without going back on her word to any client, and spend her time caring for her partner. 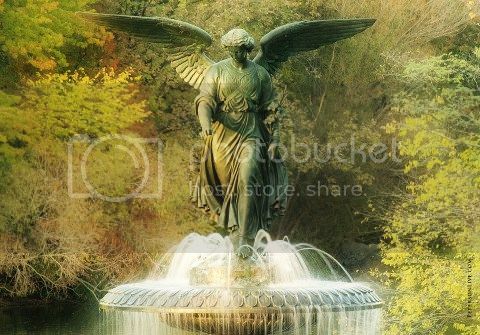 Stebbins’ best-known work is Angel of the Waters (also known as Bethesda Fountain) at Bethesda Terrace in Central Park, New York City. Central Park historian Sara Cedar Miller states that Henry Stebbins procured the commission for his sister. Henry had been selected as president of the Central Park Board of Commissioners, and he hoped to have several pieces of her art in Central Park. Bethesda Terrace complex is widely considered one of the great works of nineteenth-century American sculpture, but problems with its completion persisted. Deliveries of Stebbins’ bronze figures for the Bethesda Fountain were twice delayed – first by the Franco-Prussian War and then by difficulties in New York. I confess I dreaded the comments of the press which in this country respects nothing human or divine and is moved by any but celestial influences. I however sent you only the favorable notices – there have been others and notably one which I understood has been copied into a Boston paper. I am told it found its inspiration in the Bronze Casting interest here and was chiefly an ignorant attack upon that part of the work. I did not see it myself – not caring to have my mind disturbed by the mean undercurrents of what they are pleased to call criticism here. Stebbins joined Cushman while traveling on tour whenever possible, but her health was also deteriorating. In a letter of March 24, 1874, to Anne Whitney, Stebbins expressed her frustration at not being able to go to Cushman, who had suffered a serious relapse while on tour. Stebbins finally was, “obliged to take my life in my hands and get on to Philadelphia where Miss C. was imploring me to come.” Stebbins’ time from then on was monopolized by Cushman, whose condition worsened during 1875. 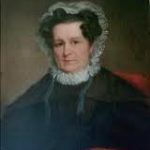 Charlotte Cushman died of pneumonia in Boston February 18, 1876 at the age of fifty-nine and was buried in Mount Auburn Cemetery in Cambridge. In her final years Emma Stebbins devoted herself to securing Cushman’s memory with the public. She wrote Cushman’s biography and compiled her correspondence, which she then published as Charlotte Cushman: Her Letters and Memories of Her Life (1878). From 1878 to 1882 Emma Stebbins wandered between winter visits at her sisters’ houses in New York and summer stays in Lenox, Massachusetts, vainly seeking relief from the pulmonary condition which related back to her years of carving marble and inhaling its dust. Emma Stebbins died October 25, 1882 in New York City at age 67 and was buried in Green-Wood Cemetery in Brooklyn, New York.